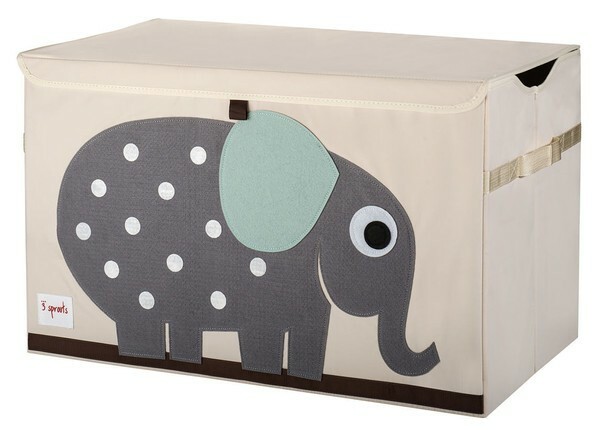 Elephant Storage chest from 3 sprouts is a perfect way to storage your child's toys. With its reinforced cardboard sides it is strong enough to stay standing when empty and the handy lid keeps all the toys safely out of sight. 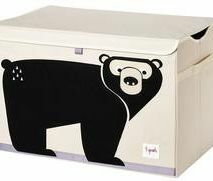 This range makes organisation easy! 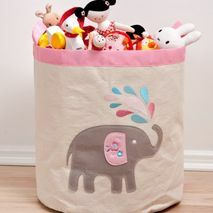 The size makes it a large enough to hold whatever is thrown in and its stylish design will look good in a child's bedroom, playroom or lounge. The 3 sprouts range also comes in an elephant deisgn and has a wide range of accompanying storage boxes, bins and laundry hampers.